The area comprises a raised pool of some 65 m2, generously-sized decks for lounging and sunbathing and an extensive covered area with bathrooms, changing areas and outdoor catering facilities, including two large parrillas or grills. The area is ideal for socializing or just soaking up the sun while looking over the stunning landscape. The recreational area is jointly owned by all plot owners who have exclusive use of the area. This applies even if you chose not to build a house straightaway. 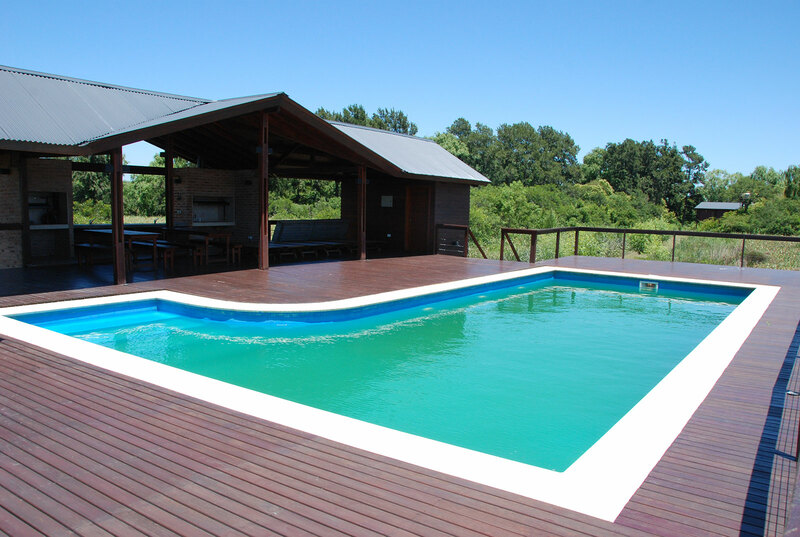 Buy a plot and you get full use of all of Dos Rios’ facilities, including the swimming pool area and deck/barbeque. The pool is fed by water from the river, and while treated, is thus not as crystalline as one fed by fresh water. 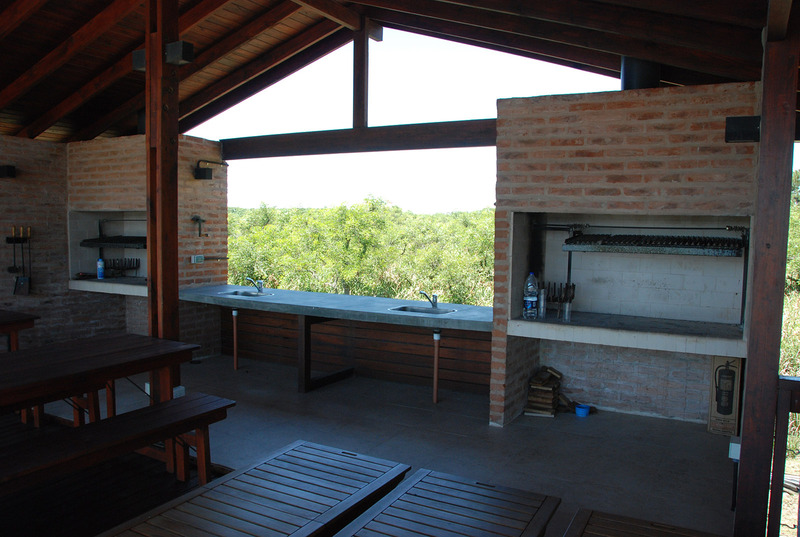 The deck offers wonderful views over the nature reserve.